Recently I noticed a few of my Prada bags are dirty. 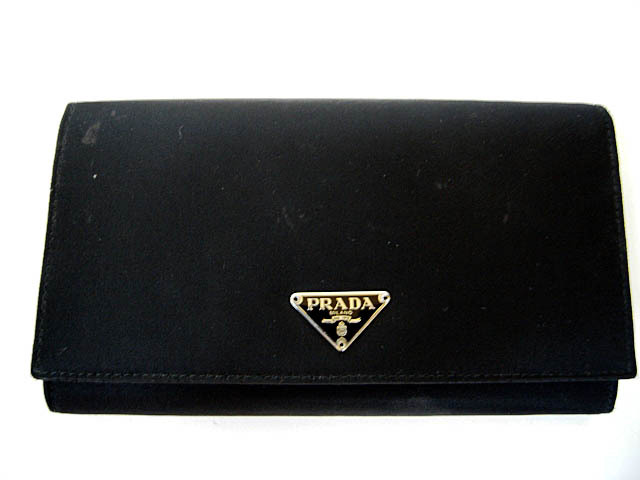 Well, taking gal pal's advise, I wiped a Prada nylon wallet (with grainy leather interior) with a mild soap solution. Becoming slightly adventurous, I quickly rinsed off outside of the wallet with water and dry with a towel. Afterward, the wallet was air dried for about 2 hours. I really should have wiped clean with a damp towel repetitively instead of rinsing off under a faucet. Becoming more comfortable, I gently hand-washed nylon totes and a backpack with mild soap, rinse with water, press almost dry with large clean towel and air dry for a couple of hours. Gal pal threw her nylon Prada backpack in a net laundry bag and washed on gentle cycle. I don't know if I am adventurous enough to do that to my bag but hers came out alright. How do you clean your nylon bags? *I am giving away set of 5 underarm lining to 12 lucky winners. Click here to enter. I have one nylon bag too and I did the same thing when it was dirty.. I washed a nylon purse in a similar way. I find you really need to get all the water out or it dries strangely. I kind of like your way of doing it! eek i'd be scared to throw in the washer/dryer too. I think i'd just use a damp cloth with very little soap and spot clean. I got my liners in the mail last week, which was a nice surprise since I forgot that I requested my free sample. Try the delicate cycle and no spin. It should work just fine. Prada Forever. I'm a lover of the Italian house! Omg I envy your bravery and now I envy your skills as well. A few of my very expensive designer bags (Prada and LV) are dirty and I'm too terrified to wash them for fear of ruining them!! I threw my Prada nylon totes in the washer as well. I never had any problem. washing machine works perfectly fine my all my prada bags!! it does the trick, even for my orange prada with red wine stains!